I was prescribed a Vitamin D treatment for 12 weeks by my primary care doctor three weeks ago. I am afraid to take the weekly dose of 50,000 iu and went to the health store and bought 5,000iu D3 gel caps. I have been taking the 5,000iu daily, plus 1 calcium supplement tablet daily containing (500 iu-D3, 40 mcg Vitamin K, 750 Calcium. )I have been on this dose for three-weeks now. I am under the impression that prescribed D-50,000iu manufactured by BARR is D2. Is this correct? I have come to this conclusion through my own research; however, I can't get a straight answer from the pharmacist. Would it be safe to take the 5,000 iu D3 gel cap daily and 2-calcium supplement tablets-totaling 6,000 iu D3 daily? My D3 level tested at 14 in 2009. In 2008, I was at 26 and I still experienced symptoms. I didn't take the 50,000 iu prescribed then, because the pharmacist told me it would be toxic to the baby, as I was breast feeding. The doctors didn't seem to know anything about it when I asked, and I am terrified of this dose even though I am no longer breast feeding. I suffer a great deal from muscle/joint/body pain and fatigue....I seem to be worse on cloudy/hazy days. I do feel a bit better with with the daily 5,500 iu D3 I am currently taking and loading up with lots of sunshine, but I suffer when there are a few cloudy days. I don't need medical advice, just a correct (maximum) daily Vitamin D3 dosage level. I know what I am feeling is not psychological. I am happy, well adjusted, and have a wonderful, caring husband who goes out of his way to help me on bad days. My husband was suggested two different vitamin,50,000iu d2 once a week and devaluate 50000iu also once a week,kind of scarey to take these two together,can u help me. The dose for Prescription Vitamin D is the same as for Vitamin D3. Just take the same dose. I am having a lap band surgery and find that my vit d is at 26. My PCP gv me a script for prescription vit D 50000 weekly. What is comparible over the counter? I read your comments on D3. Can you be more specific about what you are confused about? Did you read the links that I suggested the other person read? Did you have a vitamin d level drawn? If so, what was it? 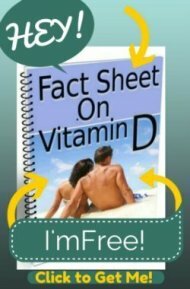 Please read my page on Prescription Vitamin D to see why you shouldn't be taking prescription Vitamin D at all!! However 50,000 IU's per day for a short time may be appropriate depending upon your Vitamin D Level. A 'normal' dose for even small children with rickets is 600,000 IU's all at once- and an adult with a low level could do twice that in a short period of time with no problems. my doctor prescribed me to take Vitamin D 50,000 IU everyday. The pharmacist was not comfortable with me taking that dosage daily. I am afraid to take this prescription daily. Is there any harm if this dosage is taking daily? The pharmacist said that this dosage is usually taken once a month. While the drisdol is 'safe', it's certainly not 'optimal'. Please read the page on Prescription Vitamin D to see why you should change that prescription dosage to regular Vitamin D Supplements. And PLEASE PLEASE make sure that you read the page on Magnesium and Vitamin D to see why you absolutely must take magnesium as outlined on the Magnesium Dosage page whichever type of vitamin d you are taking. This is not only to AVOID the side effects of vitamin d that are often NOT side effects of vitamin d, but induced magnesium deficiency. But ALSO because your anxiety and leg cramps could be due to Magnesium Deficiency!! So, don't be 'afraid' of vitamin d, just take magnesium and you'll avoid the vast majority of them. I have to take synthroid 50 mcg and the doctor did a blood test including the vitamin d and said I need to be at a level of 30 at minimum. I was at 28. He prescribed 50000 iu of Drisdol. Havent started it yet to nervous about it. I am experiencing some anxiety and bad leg aches is this from being low vitamin d? It seems everybody I talk to lately have been put on the 50000 of vitamin d. Is this Drisdol really safe? Not sure that that's true..
Everything that I've found on the internet says that Drisdol is Vitamin D2 and NOT vitamin d3. I also confirmed this with a pharmacist who stated that there are no vitamin d3 preparations that are prescription. If your Drisdol says that it is D3 or cholecalciferol, then you should take it back to the pharmacy and get it checked out. I just wanted you to know that D3 does come in rx form. It is prescribed as a gel cap. I was prescribed the D3 from Drisdol and it is actually 50000 iu of D3. I'm curious to know if you are afraid to take the prescription Vitamin D because it is d2 (which it is because ALL prescription Vitamin d is d2- so your suspicion is correct), or because of the dose. If you are not taking it because it is D2, then you are very wise and you did great to not take the Prescription Vitamin D in favor of Vitamin D3 Supplements. But if you are not taking it because of the DOSE, you are almost taking that much anyway! 50,0000 IU's/week is about 7100/ day and you are taking 5500/day. That's really not that big of a difference! But there has NEVER EVER been an overdose on 10,000 IU's /day or less- even when taken for years at a time. You can safely take that much until your level comes up to the Optimal Vitamin D Levels, then you can back off to about 5000 IU's per day again. I am SO disappointed in your pharmacist telling you that Vitamin D 50,000 IU /week would be toxic to the baby. That is really a shame that he gave you that misinformation because breast milk from Vitamin D Deficient mothers has ZERO vitamin D and babies need Vitamin D too! So, unless you exposed the baby's skin to direct sunlight or gave the baby supplements, then he got ZERO vitamin d the entire time you were breast feeding! The Vitamin D would NOT have been toxic to your baby at all, it would have given her the Vitamin D that she needed!!! 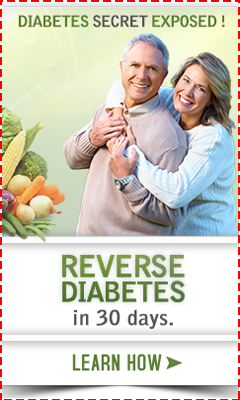 You can also take magnesium with vitamin d to help it work better. Worry, upset and anxiety are all Signs of Magnesium Deficiency and I just get the feeling that you may be a bit of a worrier and could potentially benefit from the calming effects of magnesium anyway. By the way, a high quality food based multivitamin likeJigsaw Health Essential Daily Packs would be better than the multi that you are taking now. I never recommend more than 1000 mg of calcium per day unless your doctor specifically recommends it. If you get enough magnesium and Vitamin D, then you will actually absorb the calcium that you are taking and don't need any more. So, get some magnesium as outlined in the Magnesium Dosage page and RELAX about your Vitamin D intake! !